Members of an historical society will, on Friday, 29 September, pay tribute to the pioneering Rochester aeronautical engineers Horace and his brother Eustace Short. Short family members will “plant” two information plaques on the brothers’ adjacent graves at Hampstead Cemetery in northwest Lonmdon, to mark their importance as national monuments and provide the link to further information. 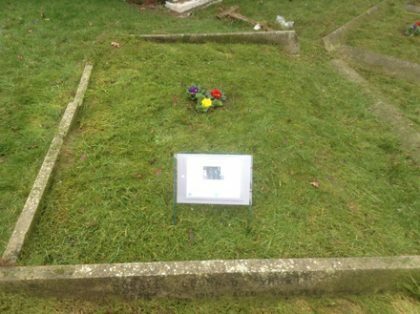 The Short Brothers Commemoration Society has raised enough money to restore the headstone of the youngest brother, Oswald (1883-1969) in Lynchmere Burial Ground, West Sussex, and to commission the manufacture of the three plaques, financed by Bombardier (Shorts) Ltd of Belfast. Fundraising continues as a further £4,000 is needed to restore the graves of Horace, Eustace and other family members buried with them, in Hampstead Cemetery. The society hope that by drawing both local and national attention to the existence of these graves, which are in a very poor state of repair, that the Short Brothers’ considerable contribution to both national and international aviation will be recognised and honoured in a fitting manner that has so far been elusive. The three Short brothers built the UK and arguably, the world’s first aircraft factory at Leysdown on the Isle of Sheppey, in 1909, when they manufactured six aeroplanes for the famous American flight pioneering brothers Wilbur and Orville Wright. All are welcome to attend to attend this half-hour ceremony at noon. The graves are by the central chapel on the main cemetery avenue from the gate at Fortune Green Road.